We help grow great New Zealanders by providing enriching local content for Kids and Youth that encourages imagination and curiosity. NZ On Air is committed providing local content for Kiwi kids and youth, as they are key audiences under the Broadcasting Act. Children’s and youth content in New Zealand is almost entirely dependent on public investment, we prioritise funding local content that will reflect and develop the cultural identities of growing young New Zealanders. We fund content from drama and animation to long-run magazine series, webseries and apps for young people of all ages. The content we invest in has a clear target audience, demonstrates a sound educational framework and is as good as anything produced in the world. Our funding ensures there is a local option for young people to enjoy amidst the sea of global offerings. In May 2018 we launched HEIHEI, a new online home for children's content, aimed at 5-9 year olds, which features a range of entertaining local shows, games and music. You can read more about HEIHEI here. 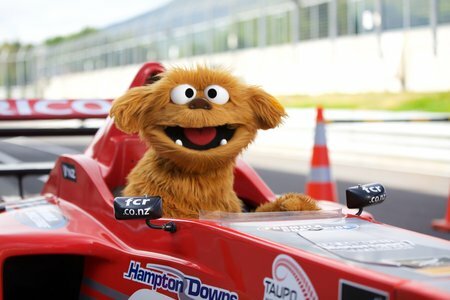 Loveable puppet Moe and his group of puppet friends help young New Zealanders understand themselves, the people around them, and the country they live in. We've been funding the Moe show since 2013. 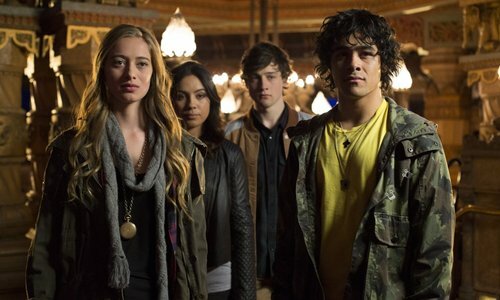 The fourth series received funding of $1,093,085. You can check out more children's content we've invested in over on HEIHEI and on our Watch and Listen - Kids and Youth page. After the adults mysteriously disappear, 16 year-old Rose must draw on all her courage to keep her siblings safe as dark forces begin to tear the world apart. The Cul De Sac brings children’s drama to prime time, targeting a core teen audience but also with wider family appeal. It adds to the diversity of drama funded by NZ On Air for a wide range of audiences. We've been funding The Cul De Sac since 2014. The third series received funding of $1,230,591. Showrunner Stephen J Campbell is a television producer with more than 20 years’ experience in the industry. He has previously created the award-winning teen dramas Secret Agent Men and The Amazing Extraordinary Friends. You can check out more youth content we've invested in on our Watch and Listen - Kids and Youth page. Terry is on a mission to avenge his father’s murder in this witty action drama which makes for great family viewing. The original Terry and the Gunrunners comic was created by New Zealand authors Bob Kerr and Stephen Ballantyne in the early 1980’s. Transformed into a popular children’s television series in the mid-80’s, the series has now been revamped by the talented team at Semi-Professional Pictures as a Television drama for TVNZ. We funded Terry Teo back in 2013. The first series received $1,335,781. We are an independent government funding agency delivering quality and diverse New Zealand public media.